In Locus Magazine, Liz Bourke recently reviewed The Deep and Shining Dark by Juliet Kemp. Liz starts by describing Juliet’s book as “one part high fantasy, one part political fantasy, and one part old-fashioned sword-and-sorcery – without the swords or the lack of realistic diversity to which old-fashioned sword-and-sorcery was often prone”. In a thorough review, Liz sets the scene, introducing the city-state of Marek and the main protagonists, and briefly outlines the start of the plot. Liz observes that, although it is a “a relatively com­pact novel, Kemp has succeeded in packing a significant amount in”, and goes on to say that it is a brisk and “well-paced story of politics, consequences, and self-redefinition” with “compelling and relatable” characters. You can read Liz’s full review here on the Locus Magazine website, even if you’re not a subscriber (and if not, why not?). 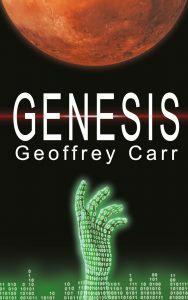 Today is publication day for Geoffrey Carr’s gripping technothriller Genesis. Hidden somewhere, deep in the Cloud, something is collating information. It reads everything, it learns, it watches. And it plans. Around the world, researchers, engineers and entrepreneurs are being killed in a string of apparently unrelated accidents. But when intelligence-agency analysts spot a pattern they struggle to find the culprit, blocked at every step – by reluctant allies and scheming enemies. Meanwhile a multi-billionaire inventor and forward-thinker is working hard to realise his dream, and trying to keep it hidden from everyone – one government investigating him, and another helping him. But deep in the Cloud something is watching him, too. And deep in the Cloud, it plans. Genesis, read it now … you need to be prepared. David M Allan’s new novel combines elements of both fantasy and science fiction to examine the glamour of power and the danger of invisible forces that can manipulate and control even the most formidable leaders. 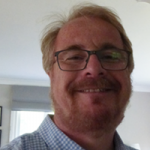 DARTFORD, KENT – 08 June 2018 – Elsewhen Press, an independent UK publisher specialising in Speculative Fiction, is delighted to announce that they have signed with author David M Allan to publish his novel The Empty Throne. Combining swords, magic, other-worldly creatures and ambitious politicians, with a gateway to another world, The Empty Throne is an unexpected mix of traditional fantasy and science fiction, likely to appeal to readers who enjoy the work of David Eddings, Robin Hobb and Juliet McKenna. In the world of The Empty Throne, there is a Citadel. In it stand three thrones, one of metal, one of wood and one of stone. Between them shimmers a gateway to a new world, created four hundred years ago by the three magicians who made the thrones. When hostile incorporeal creatures came through the gateway, the magicians attempted to close it but failed. Since that time the creatures have tried to come through the gateway at irregular intervals, but the throne room is guarded by the Company of Tectors, established to defend against them. To try to stop the creatures, expeditions have been sent through the gateway, but none has ever returned. On each throne appears an image of one of the Custoda, heroes who have led the expeditions through the gateway. While the Custoda occupy the thrones the gateway remains quiet and there are no incursions. Today, Dhanay, the newest knight admitted to the Company, is guarding the throne room. Like all the Tectors, Dhanay looks to the images of the Custoda for guidance. But the Throne of Stone is empty. The latest incursion has started; a creature escaping into the world, a kulun capable of possessing and controlling humans. 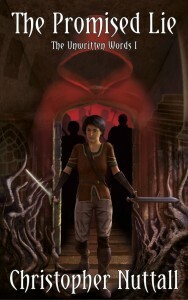 The arresting cover is by renowned artist Tony Allcock, encapsulating the atmosphere of the throne room and Dhanay’s shock when he realises the throne is empty. The author immediately liked the cover art for the “air of mystery and feeling of menace”. 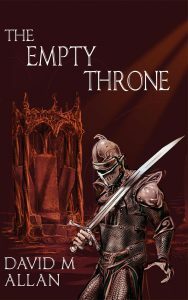 The Empty Throne will be available on all popular eBook platforms from 3rd August 2018. It will be available in paperback on 22nd October 2018. David M Allan got hooked on reading at a young age by borrowing to the max – 3 books, twice a week – from the public library. He was caught up and transported to fabulous other worlds by the likes of Wells, Verne and Burroughs (and later by Asimov, Bradbury, Clarke, Heinlein, Le Guin, Wyndham…). Alas, the journeys were temporary and he had to return to Earth. His love affair with science fiction and fantasy had him thinking vaguely about writing but he didn’t follow through until after retirement and his relocation, with wife and cat, to a houseboat on the Thames. It was reading one book which he didn’t think was very good that led him to say “I could do better than that” and then setting out to prove it. David has since had a number of short stories published in online magazines, but The Empty Throne will be his first published novel. Tony Allcock lives in Hertfordshire and has been both a Research Scientist and a Fine Artist for 40 years. He has exhibited watercolour and oil paintings in galleries and exhibitions in the UK, France and Italy. More recently he has also been painting digitally, illustrating music CD covers and book covers. Under the internet name of 888toto he has been developing digital painting brushes and techniques that have been downloaded by many hundreds of artists around the world. This is the third book cover Tony has produced for Elsewhen Press. In book 1 of Juliet Kemp’s new fantasy series, sorcerer Reb realises something is wrong when the city-angel turns up at her door. Marcia, Heir to House Fereno stumbles on the same truth. Together they must discover who is responsible and stop them. 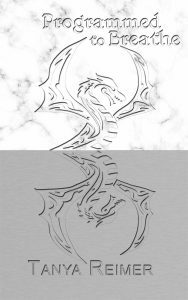 DARTFORD, KENT – 21 May 2018 – Elsewhen Press, an independent UK publisher specialising in Speculative Fiction, is delighted to announce that they have signed with author Juliet Kemp for the first book in a gripping new fantasy series. Juliet has had short stories published in anthologies and online magazines, and has a novella due out later this year. 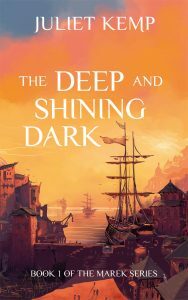 But The Deep and Shining Dark is Juliet’s debut novel, launching straight into the political intrigues and magical shenanigans in the city-state of Marek, for which the series is named. There had, once, been an overland trading route between mainland Teren and neighbouring Exuria, up and through the mountain passes. Its increasing unreliability had been what drove an expedition into the swamps, just over 300 years ago, seeking a route around the mountains. What they’d found was the outlet to the Oval Sea, which was even better. They made an agreement with an angel to ensure that magic within their new city worked without the need for bloodletting, and that political stability would be protected from magical influence. Then along came the Salinas, with their ships, their extensive trading partnerships around the Oval Sea, and their very reasonable carrier prices. Fairly soon, as Marek traded and became wealthy, it grew from being merely a city and chief trading- port of Teren into a semi-independent city-state. Most sophisticates no longer even believed in magic or the city-angel. 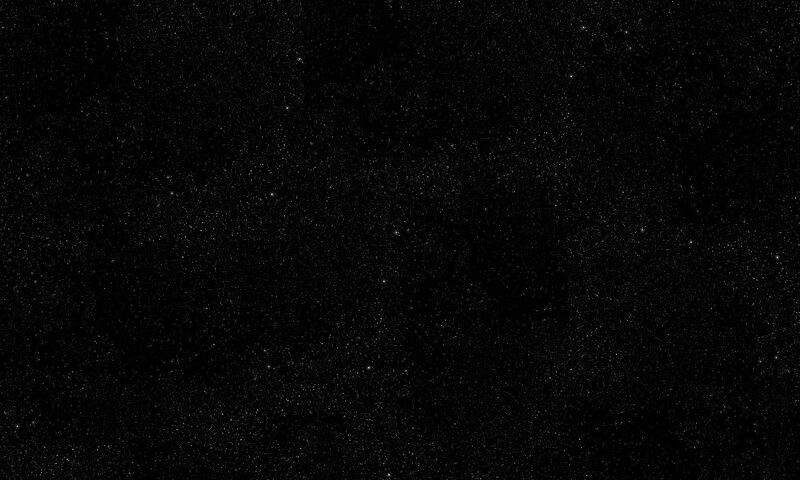 In The Deep and Shining Dark, Reb, one of the two sorcerers who survived a recent plague that wiped out virtually all of the rest, discovers that magic has suddenly stopped working. Someone has deposed the city-angel, but has been unable to replace it. Marcia, Heir to House Fereno, and one of the few in high society who is well-aware that magic still exists, stumbles across that same truth. Meanwhile Council members connive and conspire, unaware that they are being manipulated in a treacherous political game that threatens the peace and security of the entire Oval Sea. Reb and Marcia must discover who is behind the plot, in order to stop the impending disaster. But first they must try to decide whom they can really trust. The Deep and Shining Dark will be available on all popular eBook platforms from 6th July 2018. It will be available in paperback on 24th September 2018. Juliet Kemp lives by the river in London, with partners, child, dog, and too many fountain pens. 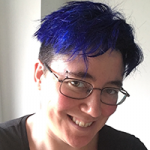 With an employment history that variously includes working as a cycle instructor, sysadmin, life model, researcher, permaculture designer, and journalist, Juliet still finds time to write. When not writing or parenting, Juliet goes climbing, knits, reads way too much, and drinks a lot of tea. Having had stories published in several anthologies and online magazines, Juliet was delighted to sign with Elsewhen Press to publish The Deep and Shining Dark. Tony Allcock lives in Hertfordshire and has been both a Research Scientist and a Fine Artist for 40 years. He has exhibited watercolour and oil paintings in galleries and exhibitions in the UK, France and Italy. 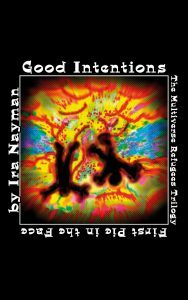 More recently he has also been painting digitally, illustrating music CD covers and book covers. Under the internet name of 888toto he has been developing digital painting brushes and techniques that have been downloaded by many hundreds of artists around the world. On Alternative Magazine Online, Marty Mulrooney has reviewed Mike French’s surreal novel Fictional Alignment, the sequel to An Android Awakes. Marty starts by recommending reading An Android Awakes first, because both books complement each other in “exciting and often unexpected ways”. He goes on to warn readers of Fictional Aligment to prepare “to be shocked, baffled and amazed, in no particular order and sometimes all at once”. Mike French, says Marty, writes “like a man possessed, transitioning from science fiction to romance one minute and from horror to comedy the next, with a multitude of other genres crammed in-between” with prose that is often “surprisingly elegant”. Describing Fictional Alignment as a book that celebrates the power of the written word, Marty concludes his review by saying that “there was nothing quite like An Android Awakes when it was first published in 2015 and there’s nothing quite like Fictional Alignment now in 2018”. Fictional Alignment is, he says, “just as well written and engaging as An Android Awakes” and he highly recommends it. Read Marty’s full review on AMO here. Master story-teller Christopher Nuttall weaves a new epic fantasy series. 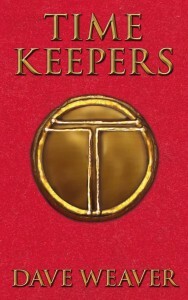 Five years after the earth-shattering events at the end of his Bookworm series, the Golden City has fallen, the Empire is no more, and ancient magic threatens the land. DARTFORD, KENT – 02 February 2018 – Elsewhen Press, an independent UK publisher specialising in Speculative Fiction, is delighted to announce the publication of The Promised Lie the first book in a new epic fantasy series, The Unwritten Words, by Christopher Nuttall set in the world of his bestselling Bookworm series. 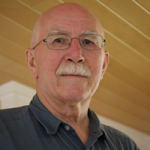 Christopher Nuttall, one of the most popular science fiction and fantasy authors on Amazon, is an accomplished writer of epic fantasy. His bestselling, and award-winning, Bookworm series has achieved worldwide success as ebooks, paperbacks and, more recently, as unabridged audiobooks from Tantor Media. The first book was published by Elsewhen Press in 2013 and the final, fourth, book in the series was published in 2015. Since then fans have been clamouring for more stories set in the same world. Now, in 2018, Christopher has obliged with a new series that begins five years after the events at the end of the original series. Shifting focus away from the Golden City and the powerful magical families who lived there, The Unwritten Words looks to what is happening in the other kingdoms that are suddenly no longer in thrall to the Empire. The few sorcerors who are left have no authority, so land grabs and power plays rely on might rather than magic. Which means that anyone who can wield magic has an immediate advantage. 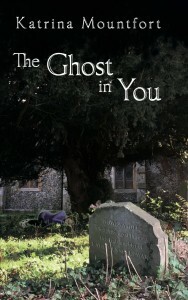 The Ghost in You is a first-hand account, from beyond the grave, by an innocent girl who dies before her time and tries to make sense of what is happening to her, while helping her friends and discovering her purpose. DARTFORD, KENT – 26 January 2018 – Elsewhen Press, an independent UK publisher specialising in Speculative Fiction, is delighted to announce the publication of The Ghost in You, the latest novel by Katrina Mountfort. A ghost story with a difference, told in the first person by the ghost herself. It addresses what awaits us when we die, the age-old concern of life after death, felt most keenly when a person is taken too soon. Along the way it also considers what it means to be soulmates. No-one knows what happens when we die. There are theories; there are hopes; there are dreams. But eventually we all find out … Rowena had never thought about it. She was only 19 and hadn’t even experienced her first kiss. Dying was the last thing she expected; or rather, what followed was the last thing she expected. With no blinding light… no choirs of angels… it actually took her a while to realise that she was in fact dead, although seeing her own body at the foot of the stairs was a big clue.